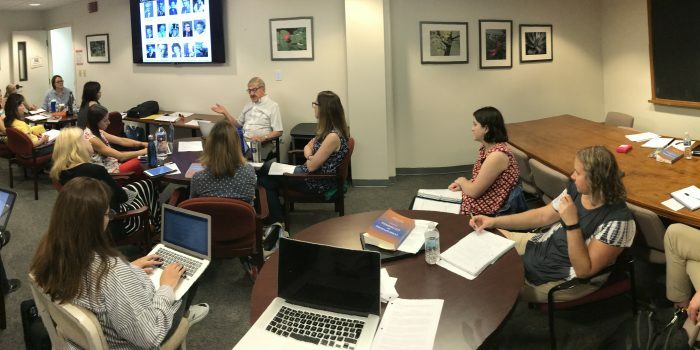 Dr. Joseph Renzulli leads a discussion in seminar. 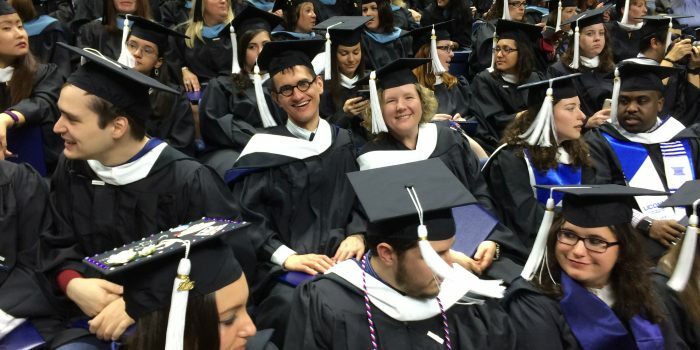 Three Summers students attending the May graduation at Storrs. Three Summers students celebrate Dr. Joseph Renzulli's birthday. 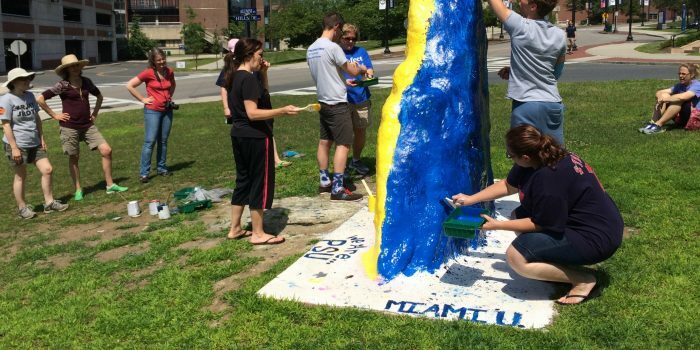 After completing their comprehensive exam, Three Summers students traditionally paint the UConn Rock. Three Summers students celebrate the end of two weeks of rewarding work with a banquet. Dr. Sally Reis teaches students during their first year. Dr. Del Siegle directs the Three Summers program. The Three Summers Program is for motivated educators who have professional or family obligations that make regular year study impossible. The program is designed to allow educators to keep their teaching positions while earning a graduate degree or professional diploma part-time in the summer with additional online course work throughout the year. The Three Summers Program culminates in a Master of Arts degree or Sixth-Year Diploma in Professional Education in Educational Psychology. The concentration in Giftedness, Creativity, and Talent Development prepares individuals for leadership roles in creativity and gifted education as gifted education program coordinators, curriculum development specialists, and regional or state gifted education agency directors. The program of study includes coursework on strategies and program models for developing student talent and field experiences in school settings. Professional growth and development through a cohort program comprised of high-energy, dedicated educators from national and international locations. Attendance at the UConn/Storrs campus for 2 weeks. Attendance at Confratute, a summer conference/institute on the UConn/Storrs campus for 1 week. Interactive, web-based, online or on-site courses during fall and spring semesters. Professional development opportunities linked to school-based issues and concerns. Strategy-based courses that apply high-end learning techniques to school improvement initiatives. Continuous faculty-student communication, advisement, and mentoring via on-site conferences and e-mail correspondence. Separate on-campus summer housing supporting collegiality and professional growth in a family atmosphere. The residency portion is offered three consecutive summers on the Storrs UConn campus. 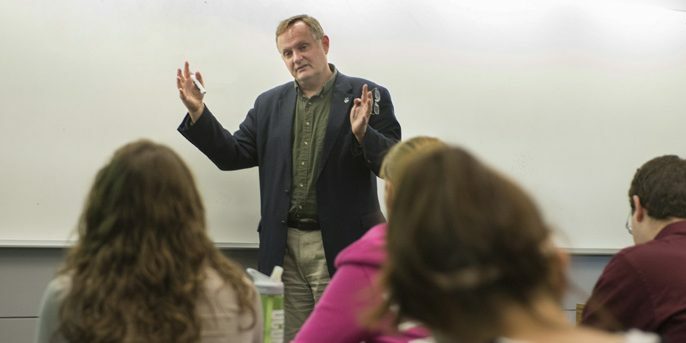 For two weeks each of the three summers, students will enroll in two required courses. 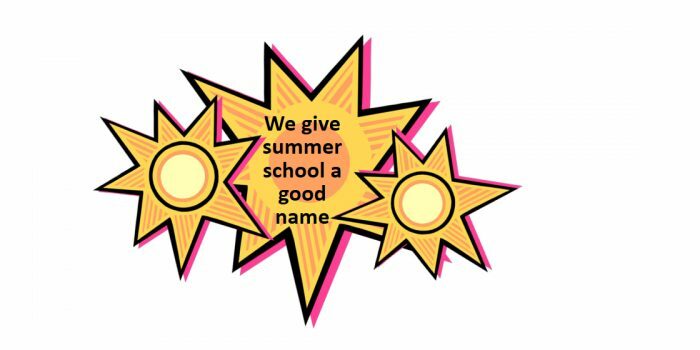 Students will stay an additional week (summer of their choice) to attend Confratute and enroll in EPSY 5195 or 5198. During the fall and spring, students will enroll in online elective courses throughout the duration of their program. Practicum is taken independently. The degree is completed in slightly over two years with summer attendance bookends. The residency portion is offered two summers on the Storrs UConn campus. For two weeks at the beginning of the program, students will enroll in two core courses. Students will return for three weeks at the end of the program to enroll in two core courses, attend Confratute, and also enroll EPSY 5195 or 5198. During the fall and spring, students will enroll in online required and elective courses throughout the duration of their program. Practicum is taken independently. 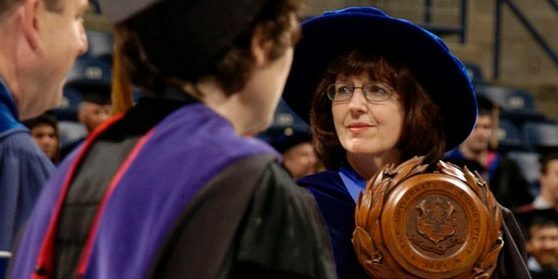 The degree is completed in approximately two years. 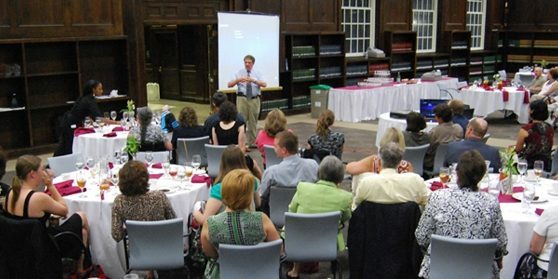 *For additional courses link to the Plan of Study http://gifted.education.uconn.edu/three-summers-plan-of-study/. **Depending on a student’s admit term, the number of courses taken on campus and amount of time on campus may vary.